Your car’s brakes operate through a hydraulic system, which means that they are powered through varying fluid pressure. Depressing the brake pedal pushes a piston that forces fluid through pipes to a cylinder that is placed near each wheel. The fluid fills the cylinders, which causes pistons to push out and apply the brakes to the wheel. Today’s cars have anti lock brakes that include sensors and a control module to prevent a car from locking up and skidding in the event of heavy braking. 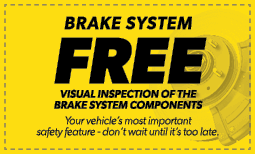 Learn more about your car’s brakes by having it inspected at in Raleigh, NC. During normal braking procedures, the pedal action for an ABS or anti-lock braking system will feel much the same as it would in a vehicle having a non-ABS system. In an emergency, however, anti-lock brakes prevent wheel lock-up while allowing the driver to maintain steering control. In a critical situation when the brake pedal is depressed, the ABS will also bring the car to a stop in the shortest distance possible. Wondering if your car has anti-lock brakes? Just ask the specialists at Meineke #2235 in Raleigh, NC. If you notice any of the signs of impending brake failure, do not continue to drive your car. Common signs include a lit ABS light, clicking or grinding noises while braking or a pulsation of the pedal when braking. You should also have your brakes inspected if you notice that your car is taking longer to come to a stop or pulls to one side when braking. Other red flags include increased drag when accelerating or lack of resistance when pressing on the brake pedal. 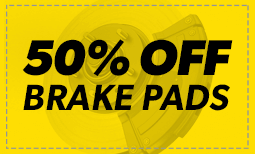 For ABS brake service and all types of brake repairs, visit Meineke #2235 in Raleigh, NC. Signs of potential brake failure can appear suddenly or gradually. In some cases, the brake pedal may go out, while in others you may notice a creeping increase in the time it takes to stop your car. Strange noises while braking can also indicate a problem. Faulty brakes decrease the control you have over your car and can lead to a serious accident. If you notice a problem with your brakes, have your car checked immediately. Contact the car repair professionals at Meineke #2235 in , NC for repairs and maintenance to your brake system. Although some repairs to the ABS system can be costly, it’s much safer to replace a faulty ABS module as soon as possible. 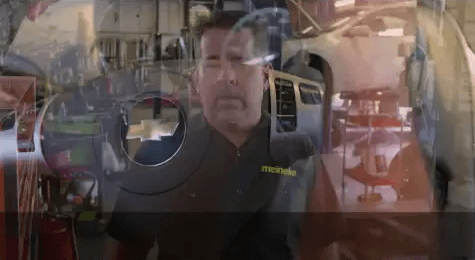 When you hear random clicking noises or feel the brakes trying to pump themselves, you need to come to Meineke #2235 in Raleigh, NC for professional repairs. When you become accustomed to relying on your anti-lock brakes, you don’t want to be caught without them, especially when the weather gets bad. Let Meineke help keep you safe on the road. Scheduling an inspection for your anti-lock brakes at regular intervals is the best way to keep repair costs from mounting. Remember that service may be as simple as adding brake fluid, a component that costs just a few dollars. Silicon brake fluid and mineral brake fluid are widely available, and they may be among the products used by Meineke #2235 in Raleigh, NC, when you come in for ABS brake service. The specialists here can diagnose any brake problems you might be having and resolve the issues promptly in order to save you greater expense down the road.